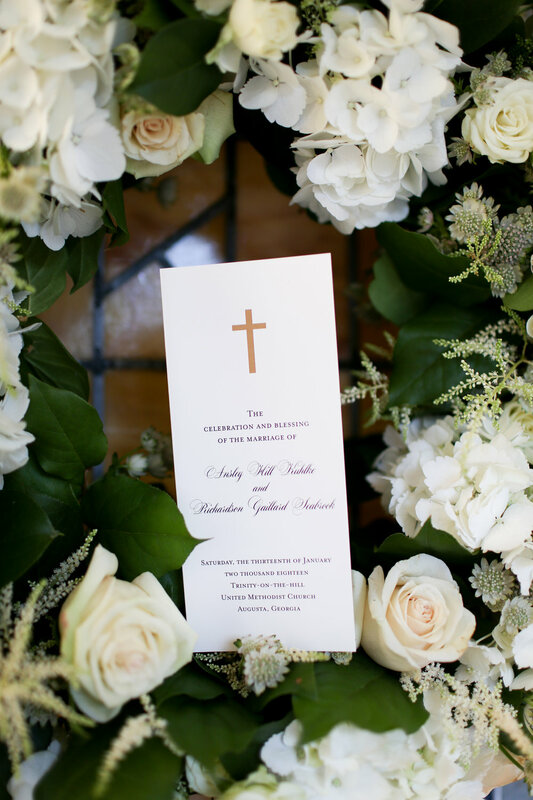 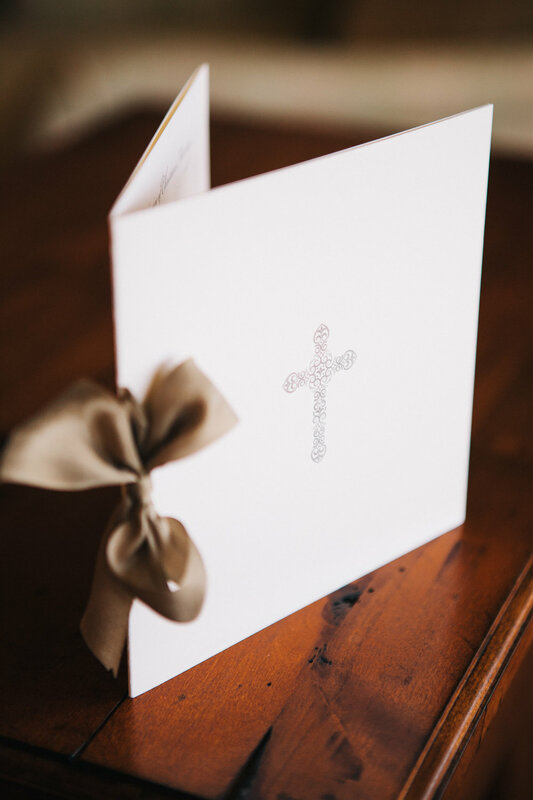 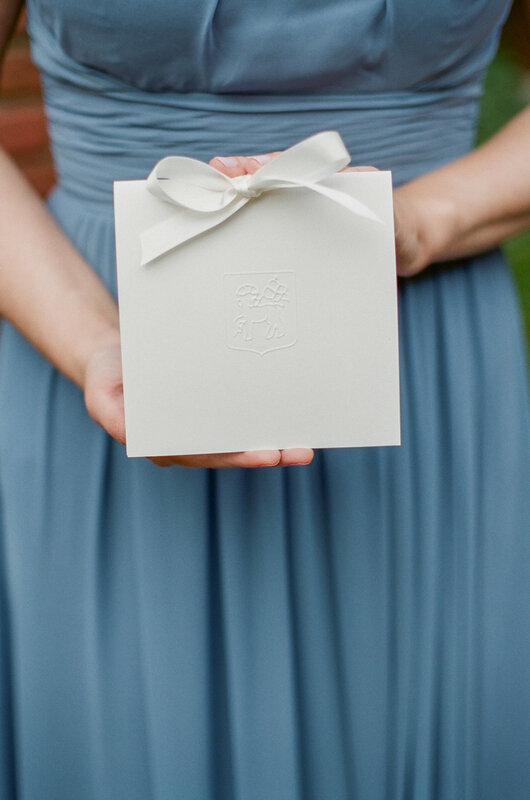 As a facet of our full-service weddings and events business we also have a team that can design and supply invitations, stationary, and other paper goods for your wedding or event. 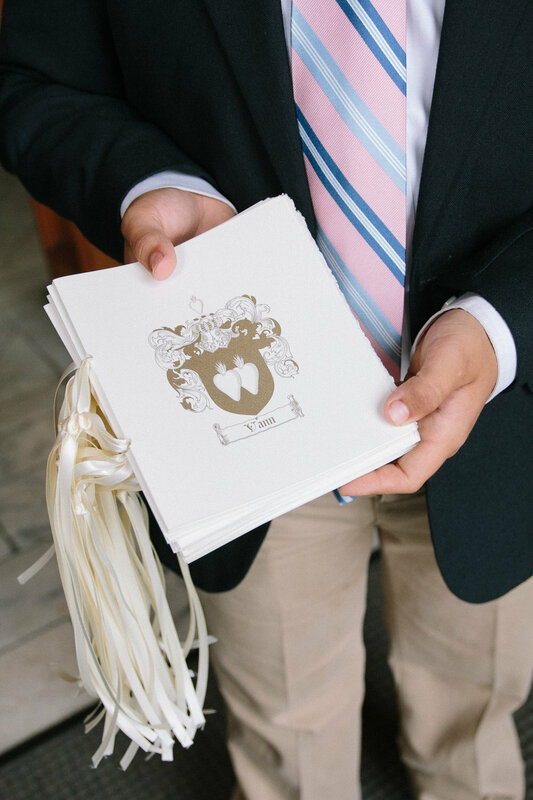 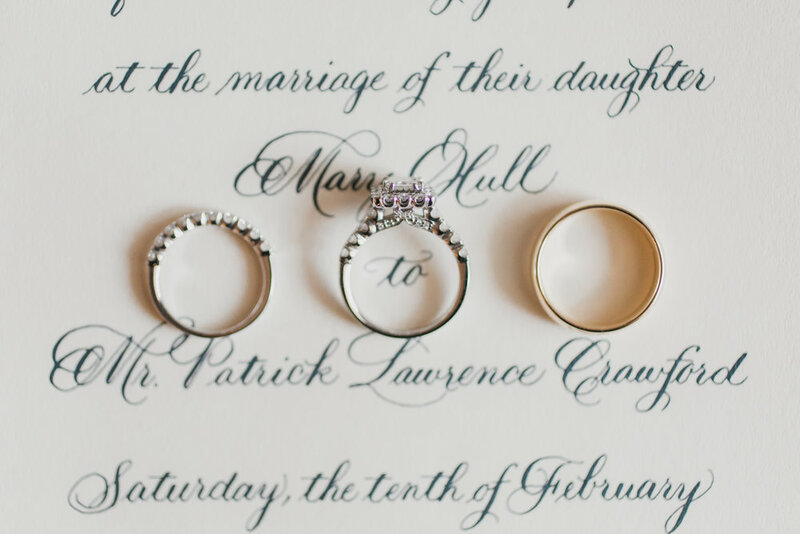 From save-the-dates to thank you notes, we offer custom paper goods in order to achieve a completely cohesive look and brand for your wedding or event. 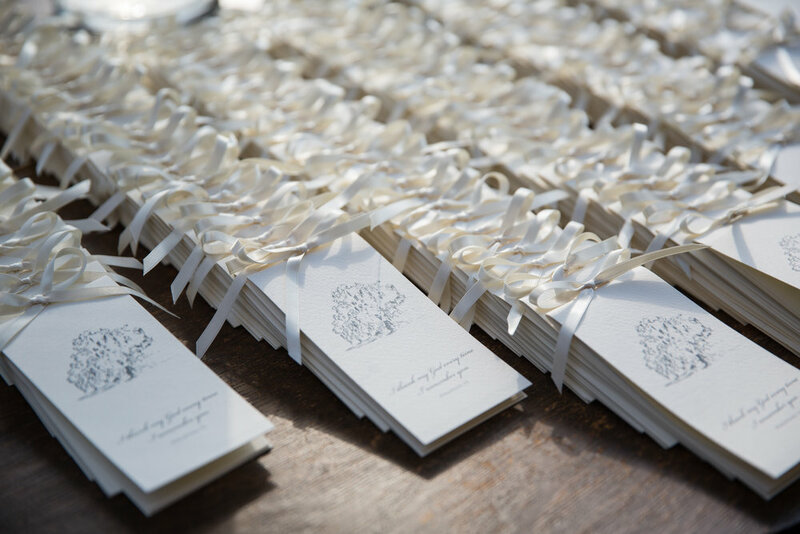 This encompasses everything from place cards, table numbers, menus, ceremony programs and more. 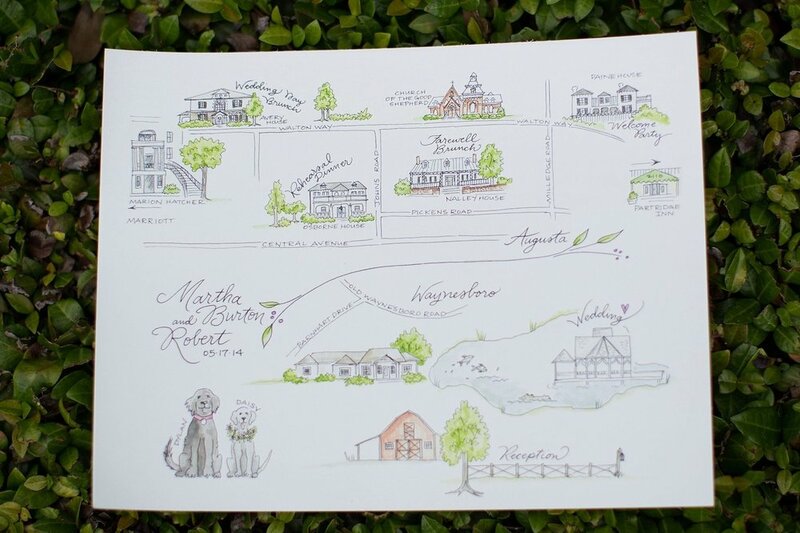 In addition to our custom designs, we are one of the only paperie shops in Augusta, Georgia that represent brands including Arzberger Stationers, Carlson Craft, Crane & Co, & Page Stationary. 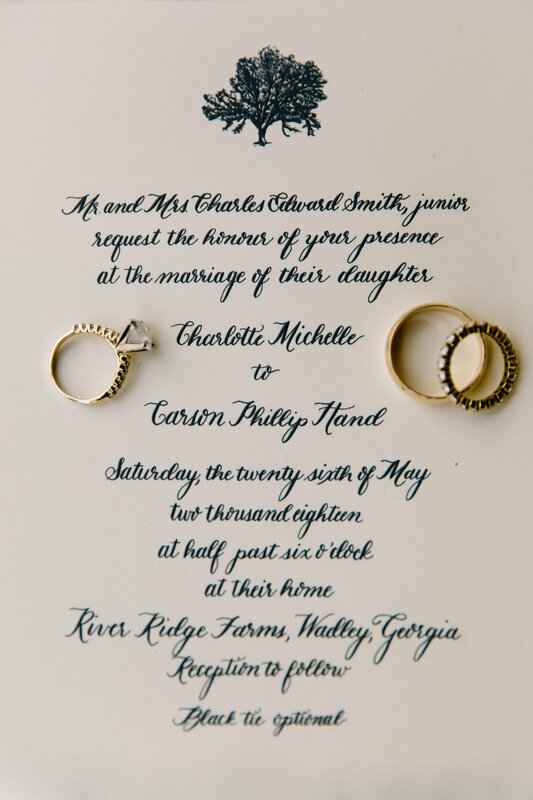 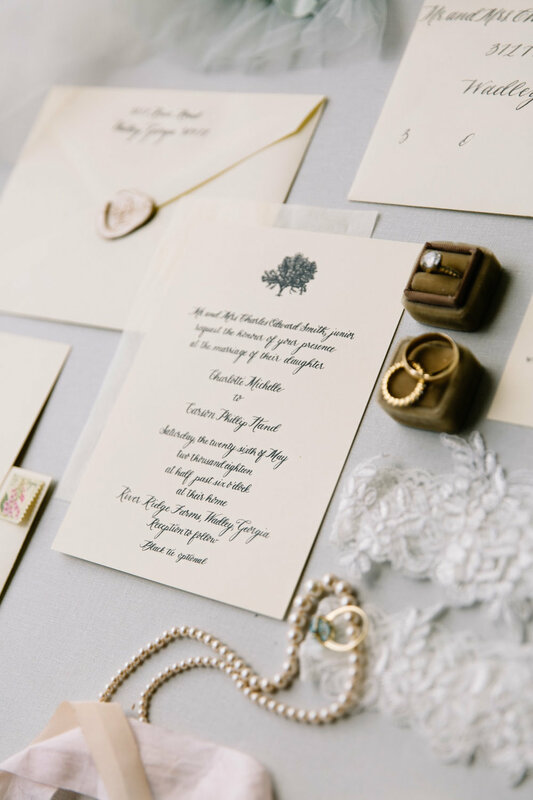 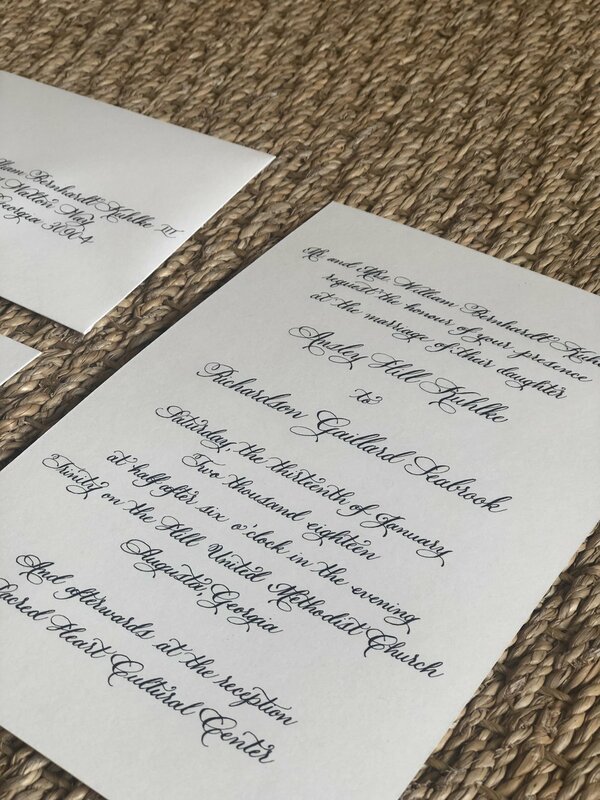 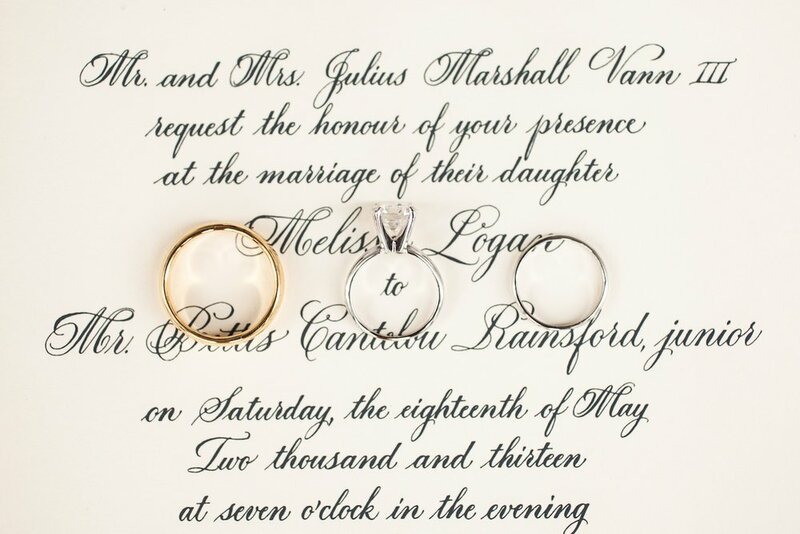 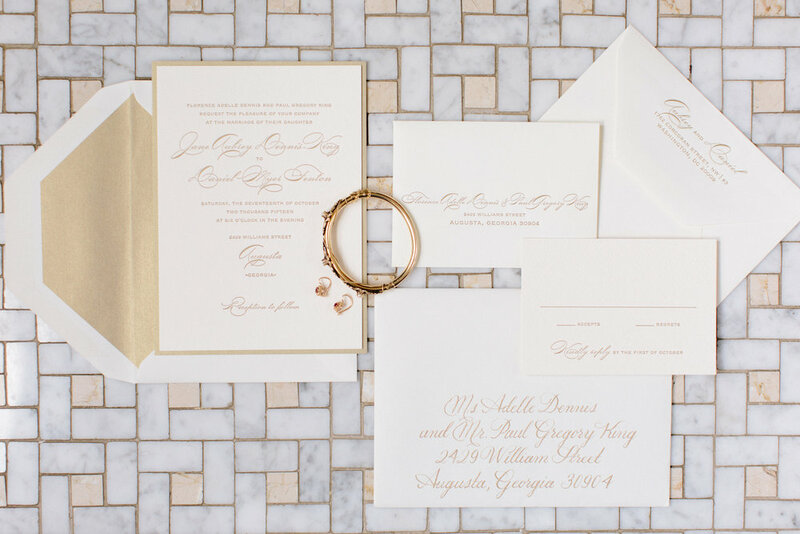 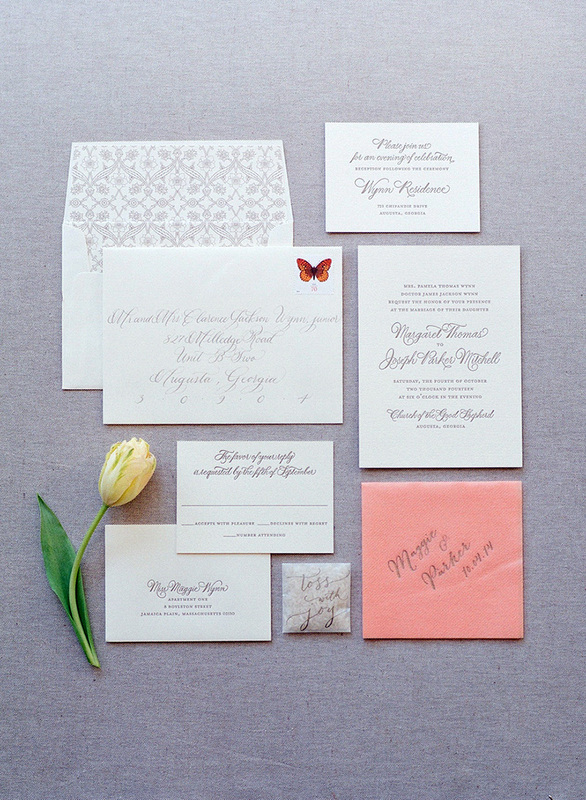 Together alongside our clients we design beautiful letterpress, thermographic, and custom engraved invitation suites that perfectly reflect the occasion. 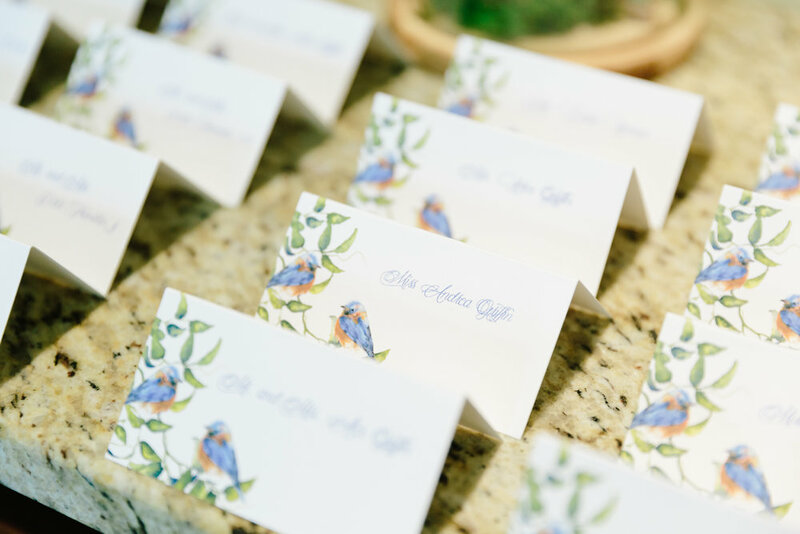 We also work with artisans who specialize in additional mediums including watercolor and calligraphy in order to create a truly one-of-a-kind design. 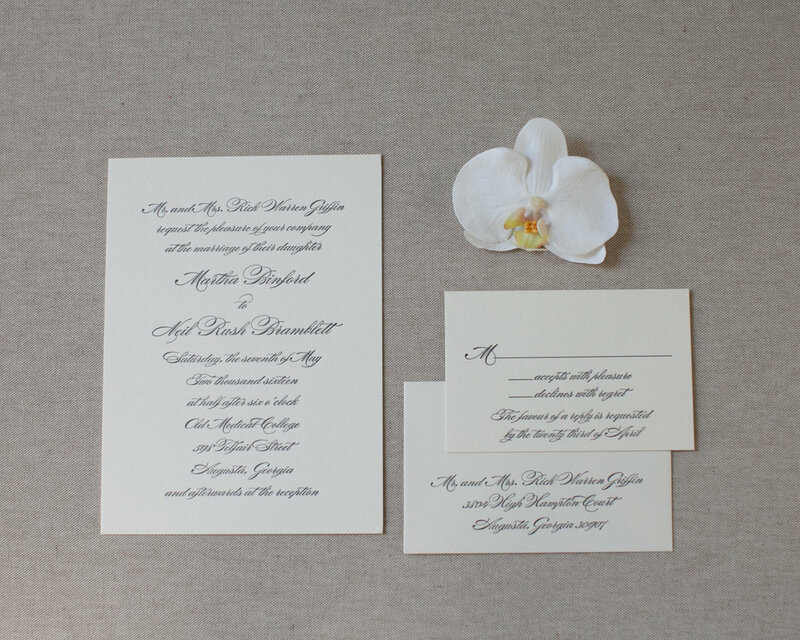 Please reach out to events@gregboulusevents.com to learn more about our paper good design services. 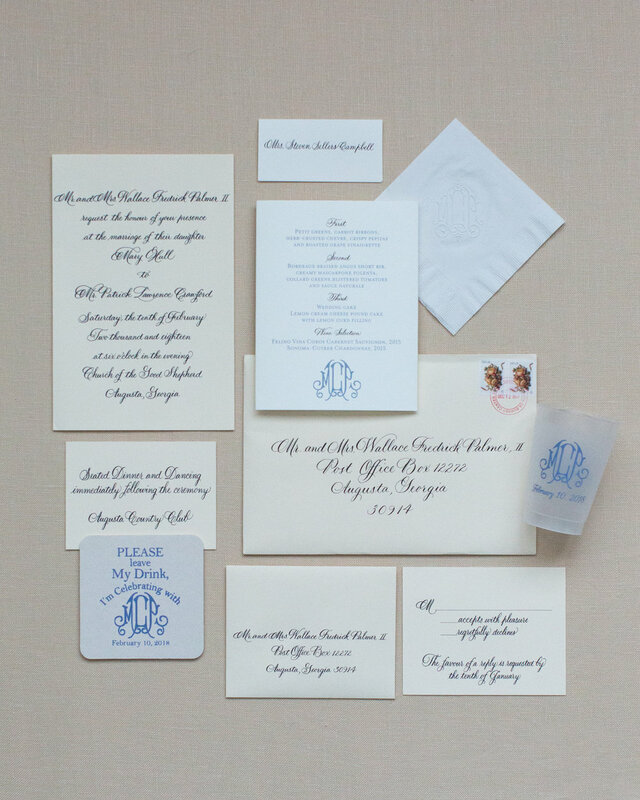 Scroll through our gallery below to see a sampling of paper goods we have designed in the past.